IT’S THE SMELLS THAT EVOKE MEXICO, FIRST—the primal earthiness of sizzling beef, the comfy smell of roasting chicken in the air. But also the soapy smell of masa, and the actual soap that Mexican restaurants use to mop up—I didn’t even know that was a distinctive thing until the first time I smelled it here after being in Oaxaca, and it took me instantly back. 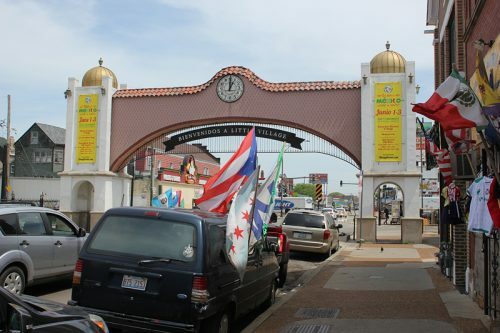 26th street in La Villita, the south side neighborhood of Little Village, is the Mexican street par excellence in Chicago. 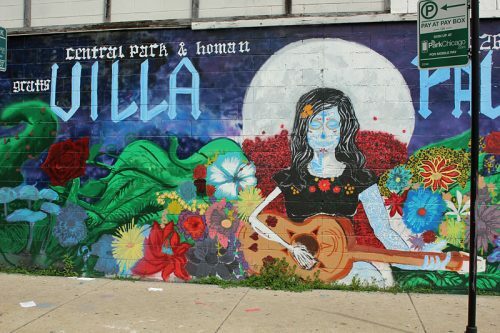 Like Pilsen, it was originally a Czech and Bohemian neighborhood—Mayor Cermak, who would get 22nd named for him, lived not far from here on Millard—and in the 1970s, it became primarily Latino, adopting the Spanish translation of its name. 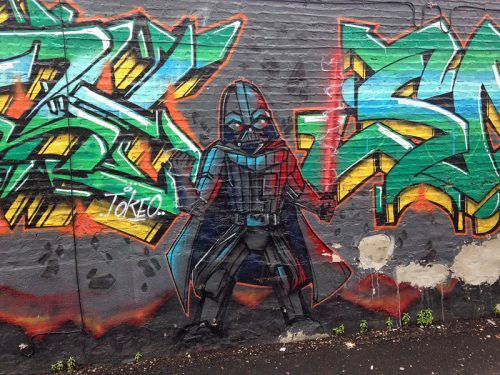 But unlike Pilsen, it’s not a neighborhood in transition, dotted with upscale restaurants. 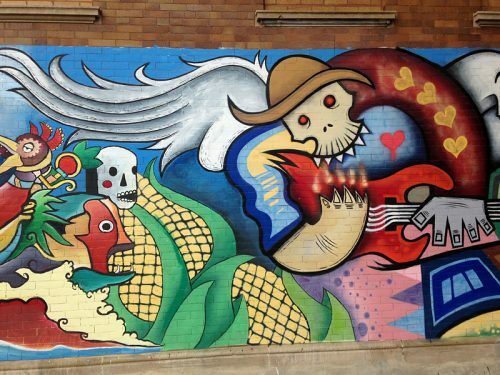 It’s the most thoroughly Mexican stretch in the city, a mile and a half or so which begins a couple of blocks east of Kedzie (beyond that, the courthouse and jail at 26th and California kind of puts a crimp in the festive atmosphere), and dead-ends as a walkable strip at Kostner. It all adds up, surprisingly, to the second most lucrative retail district in Chicago after Michigan Ave., even though there’s none of the big box retail you normally think of (not even a Target till you’re well out of the neighborhood). 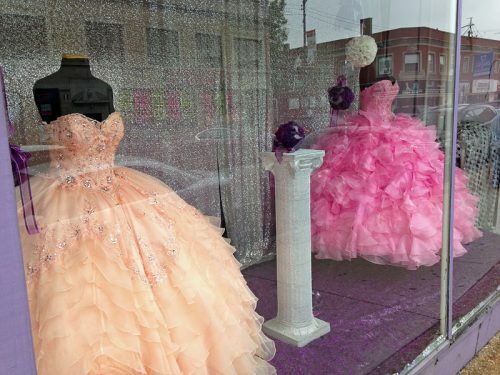 This neighborhood still shops local, the way all Chicagoans did in the 40s and 50s. 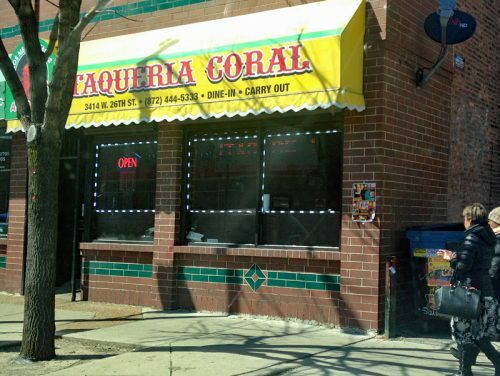 This is an eating tour of the most restaurant-dense section, from around Kedzie to Pulaski. 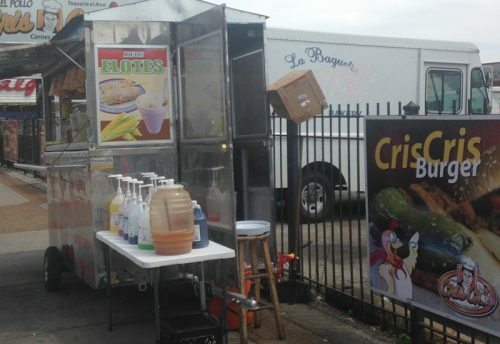 But food is not the only reason to go—I strongly urge walking it, preferably on a Saturday or Sunday, to take in the richness of Latino life in this area. 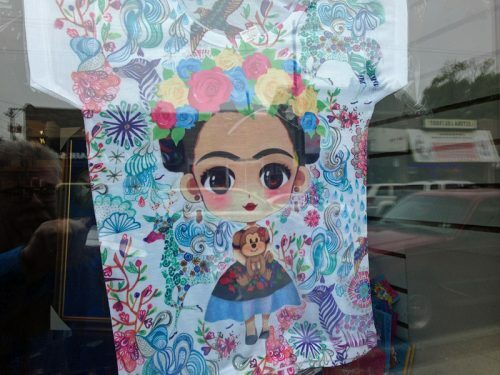 Street vendors peddling everything from boxes of mangos to tubs of detergent to folk art jewelry, stores filling their windows with quinceanera dresses for your teenage daughter and creepy Santa Muerte decor for your crib, cremerias selling Oaxacan cheese and ice cream shops selling cold-and-spicy mangonadas and elotes stands doing a side business in tepache, the mildly fermented pineapple homebrew. 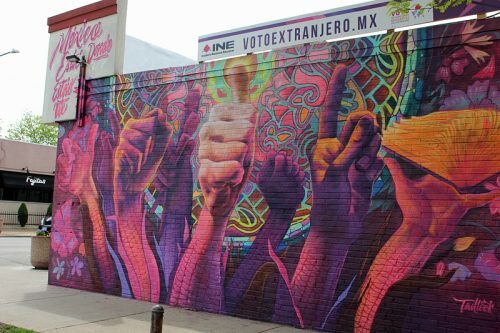 And Mexican music and street art, everywhere. You’ll want to walk it anyway, since 26th is as congested as Mexico City on a game day for Club América. * Park your car a couple of blocks away (there is, alas, no El stop anywhere close by**) and just blend in, eating a little here and a little there and letting the richness of the culture envelop you. *** It’s one of the best trips out of Chicago and to another country in town. There are dozens of places to eat something along this stretch; in this guide, I have a definite prejudice toward simple street foods from places where you can just buy a single thing, eat it and move on to the next. So more tacos than sitdown restaurants and elaborate dishes, and no reason you shoudn’t be able to sample at least 3 or 4 spots on a walking tour. But if you think I missed something worth sitting down for and filling up on, let me know! 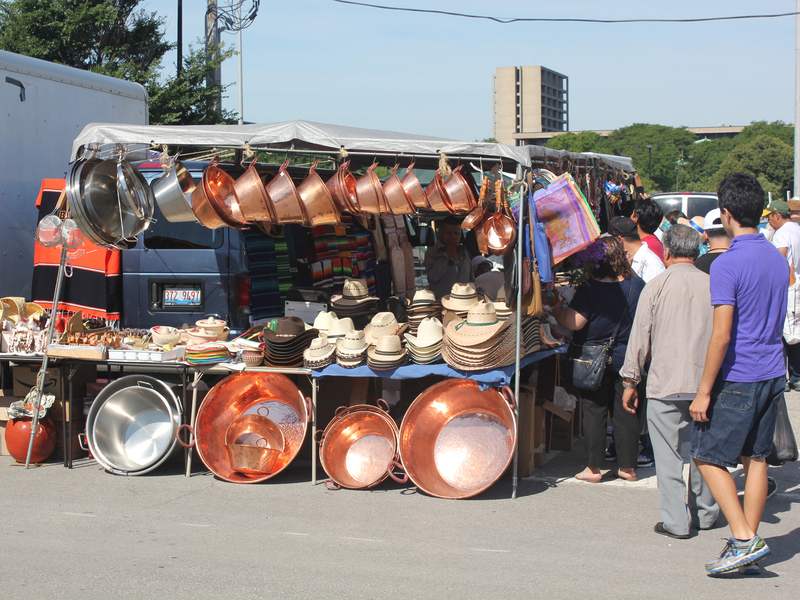 * It will be really lively, and busy, during Taste of Mexico, June 1-3—as if that didn’t describe the area any day of the year. ** Your best CTA bet is the #60 Blue Island bus, which leaves from downtown, intersects with the Blue Line along Harrison at several points, and eventually heads for 26th street. 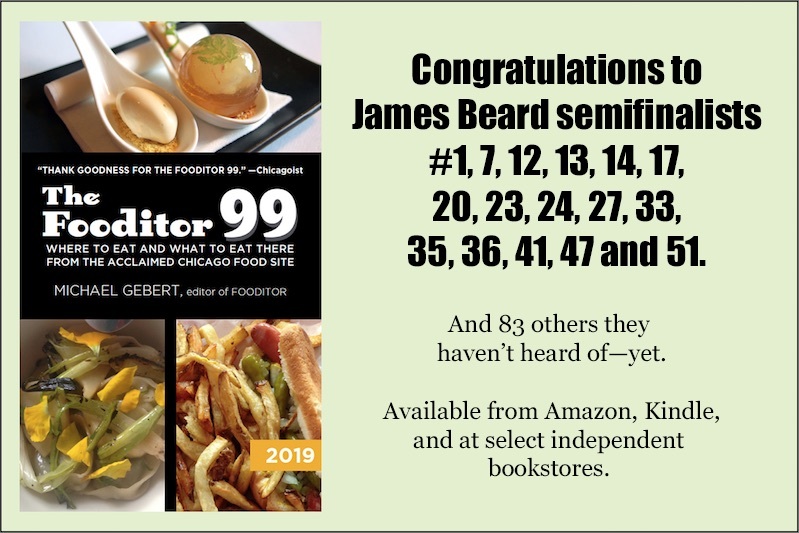 *** Hey Fooditor, you say afterwards, I saw roasted chicken all over 26th street—how come your list doesn’t have any of them? Sorry, I didn’t think any of them compared to the best pollo al carbon places in this Fooditor guide. 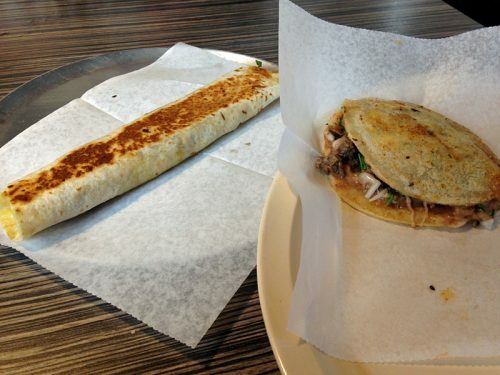 Better to drive the extra distance to Pollo Express on 18th or El Pollo Real on 31st. 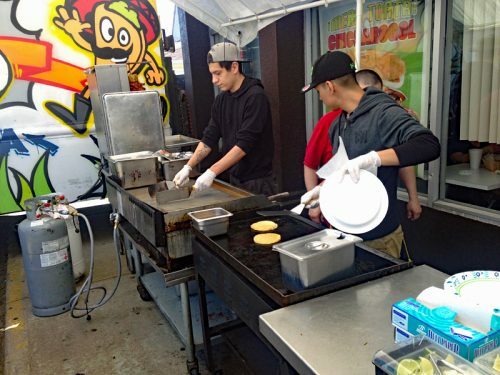 El Milagro’s tortilleria, or tortilla factory, makes perhaps the most popular brand of tortillas in taco stands and supermarkets all over the city. So it’s interesting that the restaurant adjacent to the factory has its own eccentric style that’s basically nothing like your typical Chicago taco stand. Besides bistec asado (grilled steak) served in whole chunks rather than the usual chopped pieces, there are various guisados or stews of beef, pork and chicken in spicy red and green sauces—and given how steak taco-heavy the street as a whole is, I recommend checking those out too when you have the chance. Pretty much anything you order will be served on your choice of corn or flour tortilla—on top of Mexican rice and served with a slightly vinegary kind of Mexican cole slaw, with pico de gallo on the side. I don’t quite get it—the cole slaw especially seems to counteract the hot-off-the-grill bistec, or just to be at odds with pork in a spicy red sauce—yet I can’t argue with the popularity of this always packed stand. Interestingly, though I default to corn tortillas for almost everything (except fish tacos and quesadillas), I must admit that for me, the highlight of coming here is getting flour tortillas straight from the factory, steaming and shiny-smooth on the outside. There’s something a little plasticky about the texture, and at the same time, it’s a little like getting your taco on a really big Communion wafer. And there’s a seven-year-old in me who digs both those associations. It took looking up the business registration to figure out if the place next to the La Baguette bakery in the mall, loudly proclaiming Tacos Tortas Pizza, was a related business. It is, and you may discover subtle hints that it’s also known as Alex Cafe, but you don’t really need to know that. In fact, you don’t even need to go inside—on weekends, there’s a tent out front where they’re cooking up steak tacos, accompanied by bowls of salsa fresh from the molcajete. And they are, in fact, simple and terrific, as good as any in town. 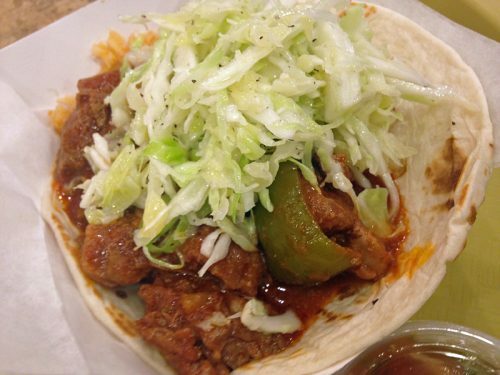 If you came here, ate one steak taco and headed home, you’d call the trip a success. If you suspect the restaurant can’t live up to that one perfect street food bite… well, true, but it’s not bad. The menu has a little of everything, but stresses tortas (and presumably bakes the bread for them on the premises), so even though I don’t usually come to 26th street to eat white bread with mayo, I went for that. 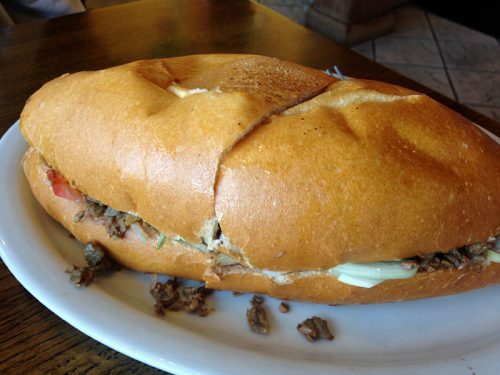 The secret ingredient to a torta is the schmear of refried beans—I should start doing that to BLTs—and it was pretty tasty, especially given the freshly baked, slightly sweet and puffy bread. 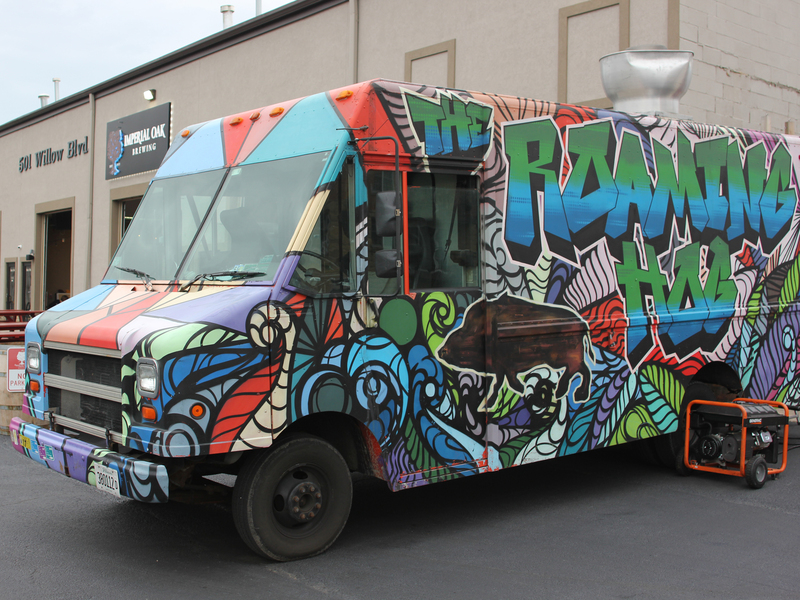 Still, if you’re looking to try a bunch of places, get yourself one taco and keep moving. 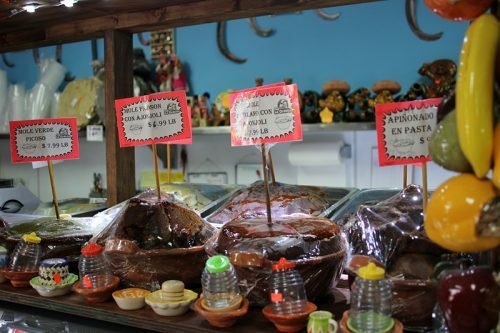 Carniceria means meat market, and half of this is a grocery store, but there’s a good-sized restaurant on the other side—and more to the point, a couple of ladies patting out tortillas by hand and frying them up on the griddle. 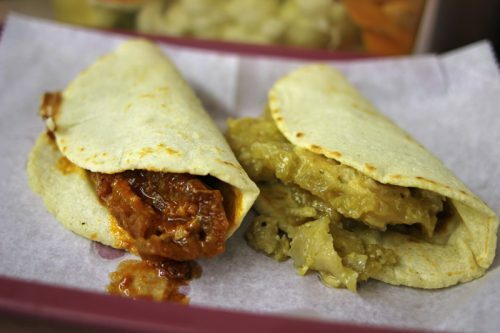 Not everything you can order comes on those (notably, steak tacos don’t), so you want to be sure to order something that does, so you can enjoy the comfy toothsomeness (a food writing cliché word I reserve exclusively for handmade tortillas) of these handpatted discs of wonderfulness. 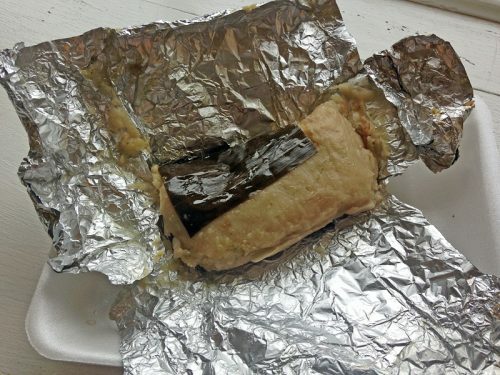 It’s about the most over the top thing you can have for $2.00 anywhere in town—hot with chili fury; gooey with molten, gelatinous fat; and the tortilla as warm and soft and comfy as the blanket Mom put over when you had a fever as a kid. 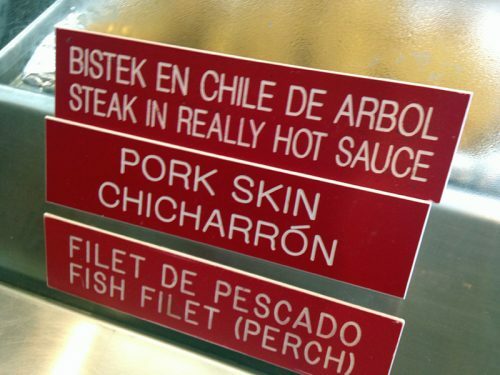 Eat it, let your eyes roll back in your head, stare blankly at the Mexican music videos playing overhead, and feel yourself a million miles away from the Chicago you know where eating spicy skin and fat on a tortilla born seconds earlier isn’t even thought of. I tried making mole once, the complex paste of toasted spices that’s the basis of many great Mexican dishes. And after I threw out the pan of something that tasted like oily, ground burnt toast, I went to one of the three locations of Cremeria La Ordena in Chicago, where they have a dozen different varieties of mole paste ready to be bought by the pound and used as the basis for an almost guaranteed spectacular Mexican meal. 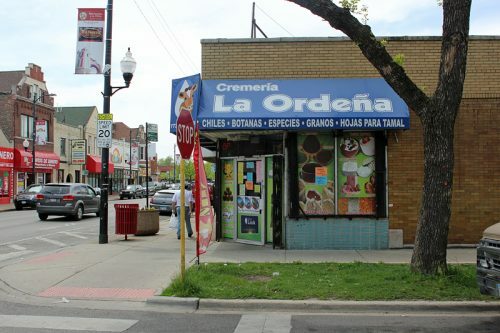 If you’re someone who’d hit up a Tony’s or a Cermak Produce to make everyday authentic Mexican dishes, this is where you go for graduate level stuff, from moles to rubbery fresh Oaxacan cheese to things few gringos even know exist, like ciruela or nanches or maiz morado. There’s not really much to eat on the spot here—a few snacky things—but if you want to extend your 26th street excursion, fill a deli cup with mole and cook a chicken or pork tenderloin with it when you get home. Anyway, the featured item is again tortas, puffy Mexican sandwiches, and while the combinations on the menu get increasingly baroque, incorporating hot dogs and ham and pineapple and so on, the best choice is always simple—steak or Milanesa (breaded steak), accompanied by the usual—cheese, lettuce, tomato and the all-important schmear of refried beans. A momentary interlude for something sweet. Like David Mamet on flan, I’m not convinced there’s a lot of difference in quality between Mexican bakeries most of the time, but Rosy’s Bakery (3237 W. 26th, 773-376-1617) seems the most ambitious of them toward the eastern end. 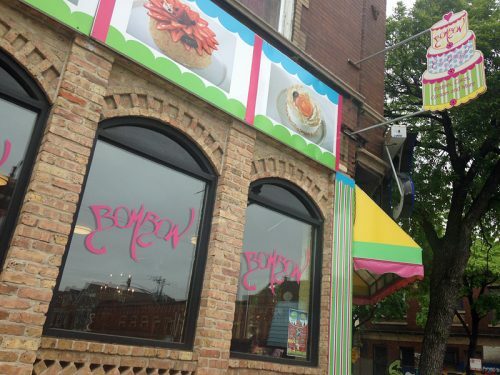 Toward the western end, Bombon Bakery (3834 W. 26th, 773-277-8777), an outpost of a mini-chain run by Frontera Grill veterans, is an easy choice for a cupcake-size tres leches cake to wash down a day full of tacos. Dulcelandia (3253 W. 26th, 773-522-3816), another local mini-chain, is full of wild Mexican candies—get some spicy lollipops for Halloween, or ones with scorpions in them, and no one will ring your doorbell ever again! 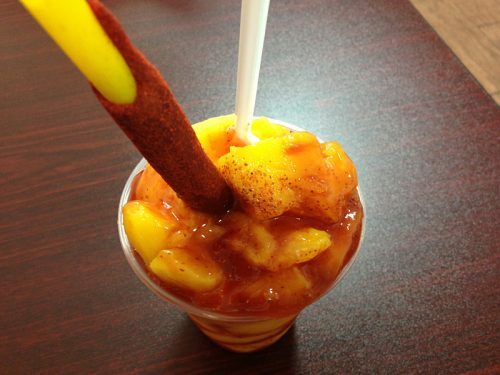 And in a similar vein on a hot day, there are several shops offering mangonadas, in which a fruit drink (or, often, ice cream) is mixed with spicy chimoy, fresh mango and chile powder—so you sweat as well as cool down inside, for the maximum cooling effect. At first taste, it may strike you as being like ice cream with cocktail sauce on it, but the blend of hot, cold, sweet and savory grows on you. 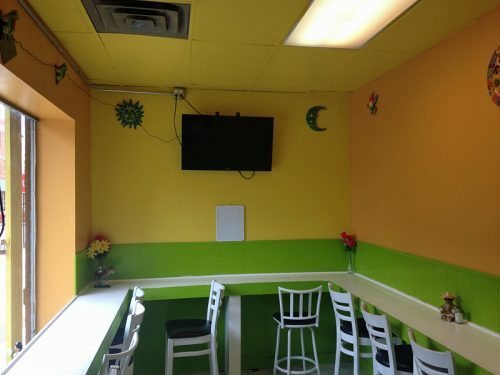 Try Los Mangos (3551 W. 26th, 773-277-7300) or La Michoakana Golden Paleteria Y Nieveria (3125 W 26th, 773-823-9037). This place is so new it doesn’t even have a Yelp listing yet—from the upscale-looking decor mixed with hand-drawn signs, my guess is it’s new owners in the space of a better-funded previous restaurant. 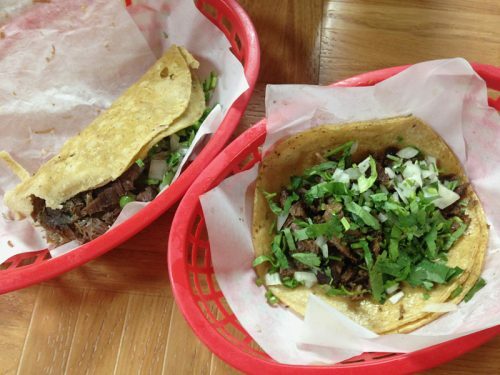 In any case it’s a real taco joint find if I do say so myself, offering not just excellent examples of the usual taqueria choices, steak and pastor etc., but some more unusual cuts reminiscent of perhaps Little Village’s best taqueria, La Chaparrita. 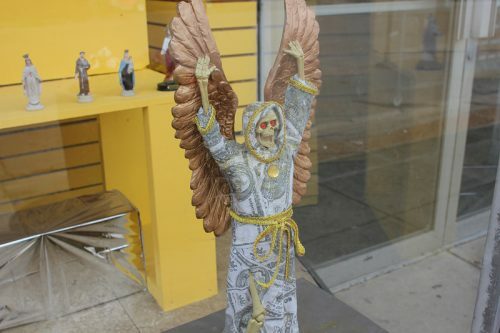 Specifically, I saw a hand-drawn sign offering tripitas. Tripitas, also sometimes called tripas (if there’s a difference I can’t find it), sounds like it means tripe, but it’s actually small intestine—so more like chitterlings. Which, okay, doesn’t sound any better to most Americans, I know. But fried till crispy—I doublechecked that before ordering—the result is like beef bacon, fatty, crispy and delicious. It’s only about $2, give it a shot. 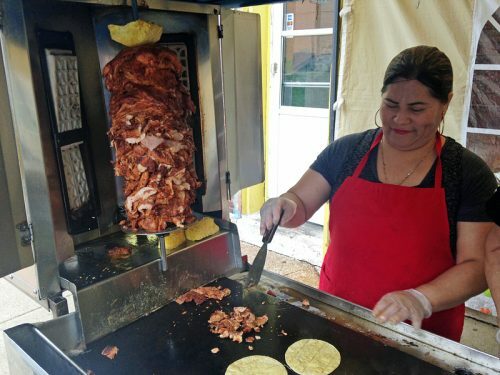 At Drake, just before Central Park Ave., we’re going to take a detour a block north of 26th street for a master class in tacos al pastor. 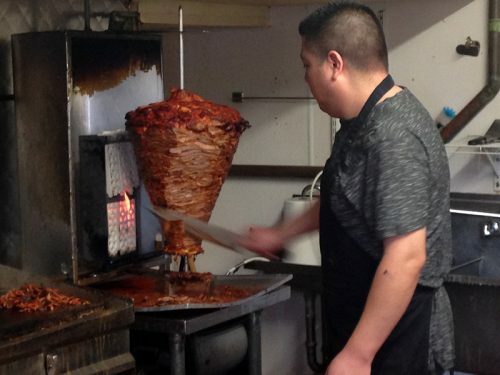 Pastor, inspired by the way Arabs grilled shawarma, is pork in adobo sauce stacked on a spit and then grilled like gyros, the heat from the device crisping up the meat, which is then sliced as it’s cooked. 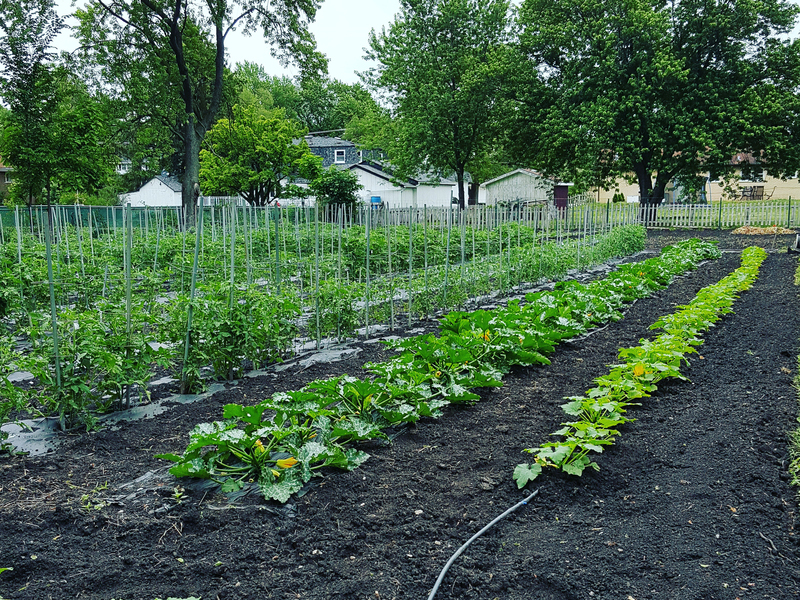 Well, that’s how it should be, anyway, but too often in Chicago shortcuts are taken, like slicing the meat off the spit and finishing it on the grill at off hours. I’m not going to say that never happens here (in fact it seems to be happening in the above photo), but generally speaking, you should get textbook crisped-up pieces, spicy-sweet with caramelized abobo sauce, accompanied by bits of pineapple. 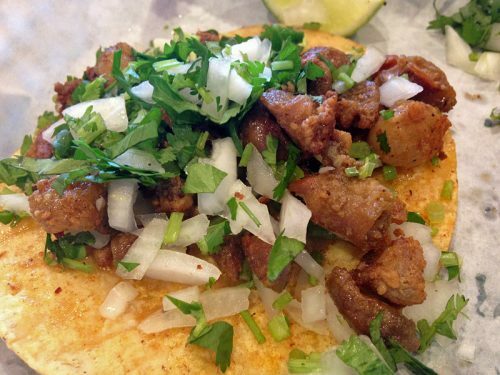 For more, check out The Fooditor Guide to Tacos Al Pastor by Titus Ruscitti. At first glance, the Chipotle-like ordering setup might make you think that corporate America-Mexican has finally come to 26th street. Then you see someone behind the line pressing tortillas out of fresh masa, and you realize the reverse is true—Mexican with the operational skills of corporate America may someday be coming to you from 26th street. 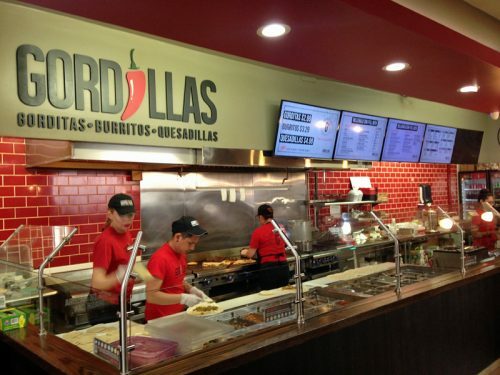 Gordillas specializes in a variety of Mexican meats, from the usual steak and pork to barbacoa (steamed beef head meat), deshebrada (shredded beef and diced potatoes in salsa verde), and a few veggie choices like mushrooms or poblano peppers with cheese. You pick that and some other toppings (cheese, lettuce, tomato, crema), you pick whether you want it on a disc-shaped corn gordita or in a long, not-as-big-as-your-head Durango-style burrito on a flour tortilla, and then it goes on the grill to be crisped up. The method of preparation is good either way, but it’s the authentic taste of what goes inside that makes it so delicious—and such an improvement on the chains it superficially resembles. Someone get them the venture capital to take this concept national, or at least closer to me. 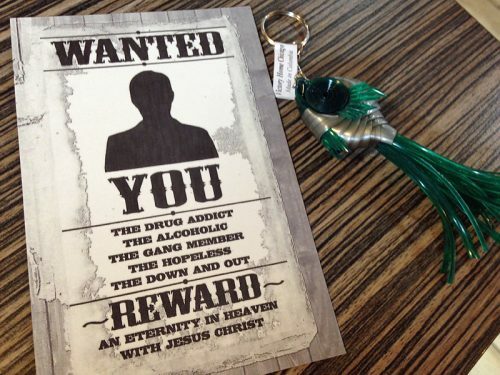 Mexican restaurants have a much higher tolerance for people selling stuff in their businesses. My son got a fish keychain, I helped the hopeless. Another one Yelp doesn’t know exists, and I never noticed this place either, just around the corner from 26th street, until I happened to park on Springfield recently. 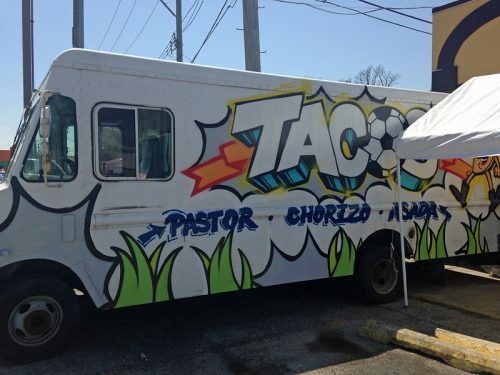 I found what seemed to be the owner and his wife out front, cooking up pastor and tripas tacos from a street cart. How could I resist a pastor taco daring to compete with Atotonilco around the corner and Las Barrilitos just a few blocks away? Anyway, it was quite good, and they really wanted me to come inside and try more things from their extensive menu of Mexican specialties, but I had more street-eating to try that day. It was very hot and awfully wet, and very tasty. I’m calling this one a find, too, and will be back to try more. 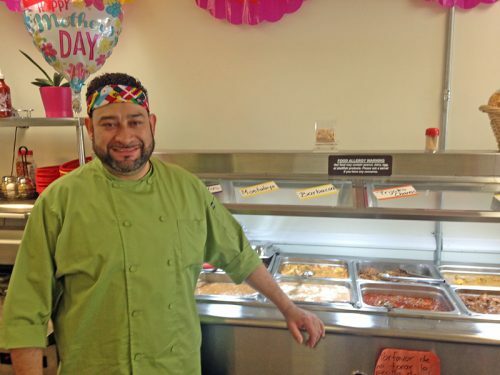 The owner, Francisco España, came out to greet me personally—and to sell me on the $14.99 buffet. 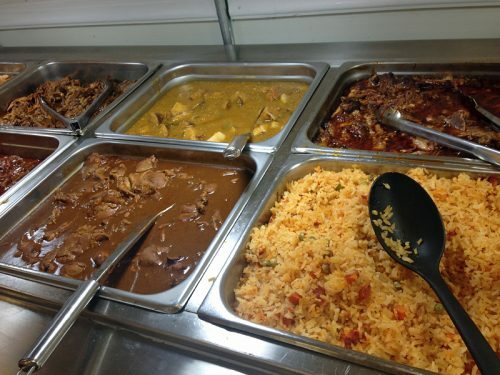 Which honestly looks like a good deal for families—an assortment of guisados plus a second table of desserts and pastries, including American breakfast items for the kids. Nevertheless, I was there to graze, so I ordered one of the lamb barbacoa tacos and one of cochinita pibil. Even a cheapskate like me was brought chips with two salsas—one of which I thought would be habanero, but turned out to get its beige color from peanuts. Anyway, I was impressed with both tacos, the braised meats and broth evincing deep, earthy flavors. Another find, also not on Yelp—and with the least likely name. Like El Milagro, this is another popular tortilla brand with its own factory restaurant. 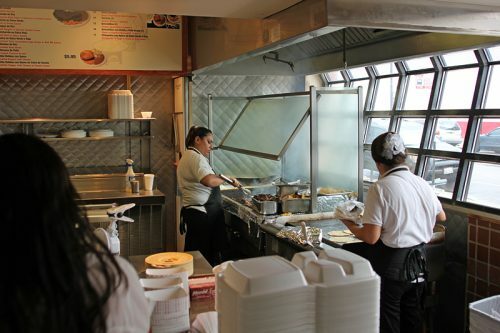 If El Milagro is faintly classy like a department store’s cafeteria, this one is bustling and noisy like a Greek diner, cranking out pastor tacos from a massive trompo and steak tacos from mounds of sizzling steak. There’s not a lot of finesse here—the meat is heavily salted and buried in cilantro (and be sure to ask for cilantro and onion; their default with gringos, at least, is lettuce and tomato)—but like a Greek diner, it’s good enough, satisfying and served too fast to complain. 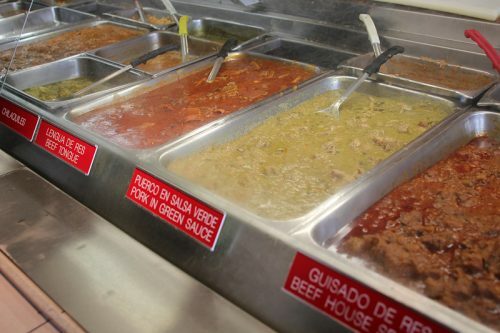 There are lot of choices beyond steak and pastor, by the way—barbacoa is good for one. Fooditor will return the week after Memorial Day. 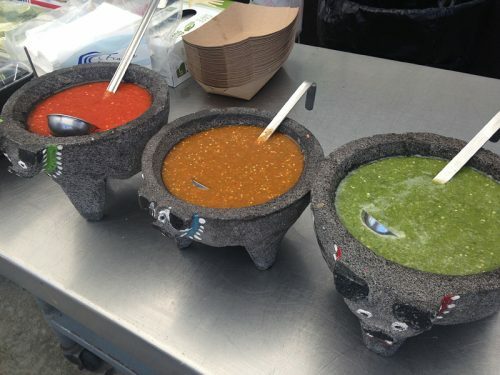 For more Mexican food, look at the Guides section available by clicking on the Guides button on the top navigation. 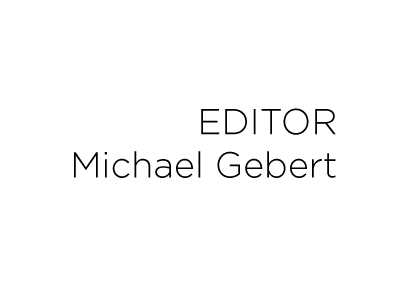 Michael Gebert is el Señor of Fooditor.